EASEUS Data Recovery Wizard is a powerful tool for retrieving lost or deleted files. It offers many commendable data recovery features to its users. Sometimes, there can be situations where we accidentally delete some files which are still of our use. Therefore, EASEUS came up with a solution to this frequent problem.The EASEUS Data Recovery Wizard is a free of cost software that enables the user to restore those accidentally deleted files from recently emptied recycle bin, dynamic disks, formatted hard drivers and other portable drivers. This data recovery software enables its users to recover various types of files like emails, videos, documents, audios and photos. It is an easy to use and handy tool that recovers your lost data within few simple clicks. Although, the software works at a quite commendable speed but the speed will vary depending upon the speed of your processor and size of the drive you are exploring. EASEUS Data Recovery Wizard Free is one of the best data recovery software available in the market today for accidentally deleted file recovery. It enables the users to recover lost/deleted files from their USB drive, hard drive, Memory card, mobile phone, camera, external hard drive and other storage devices that are accidentally lost due to formatting, deletion, hard drive damage, malware malfunctioning, or software crashes. Moreover, you can avail the benefits of this amazing data recovery software without paying any additional charges. This free version of Data Recovery Wizard comes with two progressive modes for scanning namely quick scan that can be used for finding deleted files and deep scan that can be used for finding lost, inaccessible or formatted files. The user can even pause and resume the scanning process. These scanning results can be saved and imported in order to carry out another recovery without starting with the scanning process all over again. The users gets an option to specify their recovery file types before beginning with the scanning process in order to get accurate search results. You can even filter your search by file type, name, date etc that becomes quite handy for locating files and thereby saves time and efforts. In addition, the users also have an option to preview the files in order to check and verify the details and quality of the deleted files before deciding to finally retrieve them. 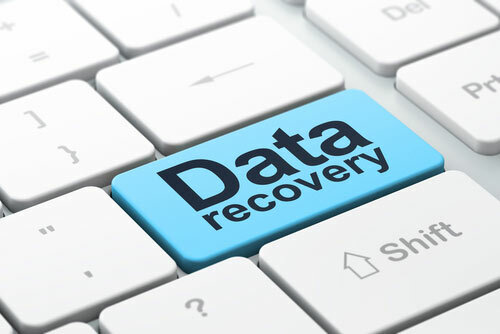 It is a safe and easy way to recover lost data. In order to get started with the software, one does not require any prior experience of data recovery. It comes with a user- friendly and intuitive interface that makes the recovery process even more effortless. 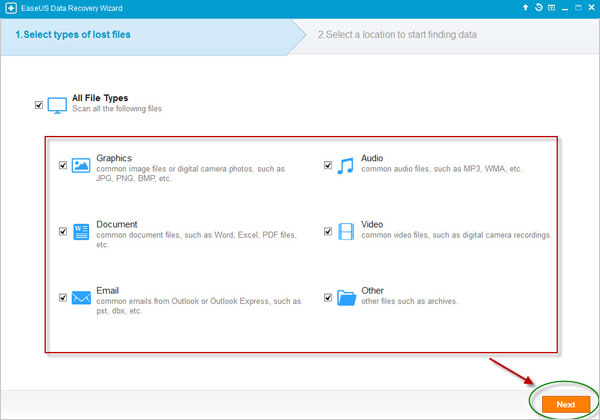 Simply follow the three basic steps for retrieving lost files and data. Moreover, this software is 100% safe which makes sure that no harm is caused to your device and your data is not overwritten. The EASEUS Data Recovery Wizard can be accessed by the users free of cost. However, using the free version of this software enables the users to retrieve data only up to 2 GB. So, if you like this data recovery software and want to retrieve data beyond the prescribed limit, then in that case you can opt for the premium version. Although, the premium version of the software is a paid version and works in the same manner but there are no restrictions for retrieving data. 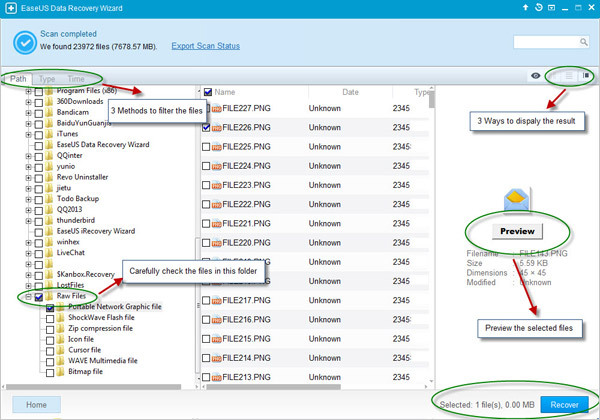 EASEUS Data Recovery Wizard is a powerful tool for retrieving lost or deleted files. It offers many commendable data recovery features to its users. Moreover, this amazing data recovery software can be accessed free of cost that makes it worth trying. So, download the software today and get started.